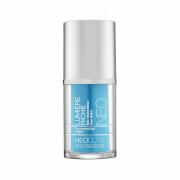 Nourish dry, dehydrated skin on the face and body with a nutrient and peptide-rich emollient that comforts and soothes skin while reducing the appearance of fine lines and wrinkles. Organic extra virgin coconut, avocado and olive oils provide luxurious hydration deep within the skin without leaving a heavy greasy feel. The antimicrobial and antibacterial properties of lauric acid and omega-3 fatty acids contribute to improved skin clarity while antioxidants protect against free radical attack. May be used on all skin types, even the most sensitive or sun burned skin. Contains a complex comprised of rice, soy and yeast peptides helps improve blood circulation and oxygen supply to the skin, inhibits collagen and elastin breakdown, strengthens connective tissues while reducing the presence of free radicals. After 8 weeks of use, skin texture was improved by 42%. Oxido reductase scavenge radicals in the aqueous portion of the cell and neutralize destructive peroxides. 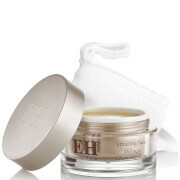 Comforts and soothes skin experiencing sensitivity. For facial massage, warm between hands and pre-mix with appropriate serum for best results. Leave on the skin and apply appropriate mask on top. For the body, mix with Moisturize and perform massage in circular motions.